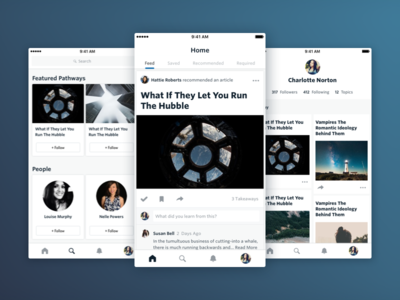 Degreed Mobile App — Over the last year, I've had the pleasure to work on the mobile app for Degreed. 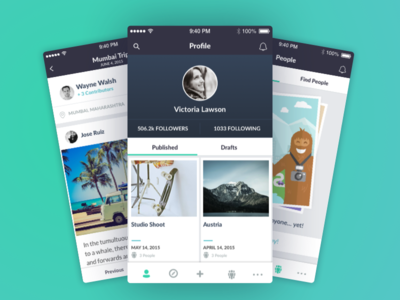 We first released it in April as a daily learning app. 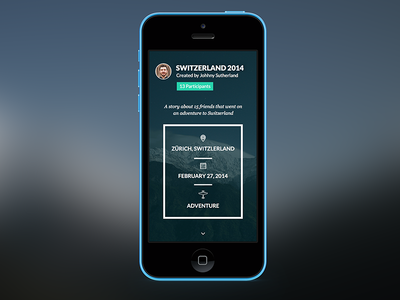 Since that release we've wanted to create a simpler version of the web app as a mobile app for iPhone, and Android. I've attached an "App Progression" file. So you can see the major iterations that have been done over the last year. 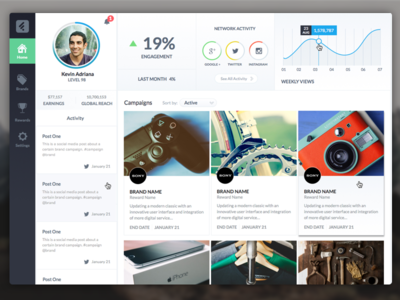 User Dashboard — Here's the first colorized version of the user dashboard. 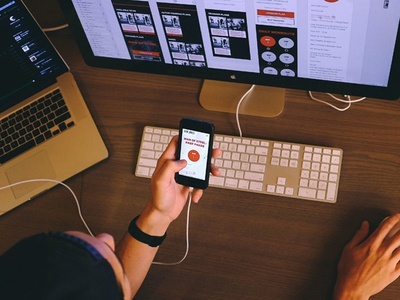 Swipe Test-Principle — I've been trying out the new Principle prototyping tool. So far I've really enjoyed using it. Easy to learn and easy to use. I'm figuring out things it can do that I didn't think it was capable of (dot indicators). 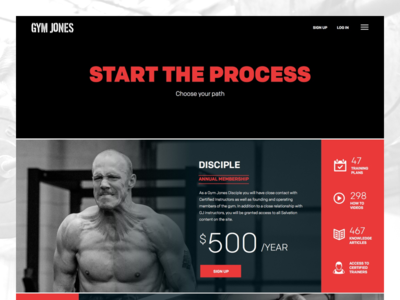 Online Gym Memberships — @Cole Quartuccio and I have been working on this little project. And by little, I mean huge. We'll be launching this in the next month. So we'll be showing more as the launch date approaches. 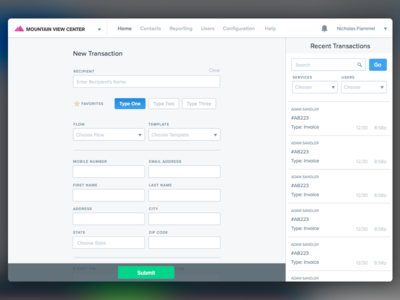 Payment Form Shot — This is a web app for companies to send out bills to patients and customers. Each form field label can be customized by the company. Check the attachment for full detail. Social Analytics Profile Shot — Here's another screen for a social analytics app. Contact Us Form — Its been awhile... 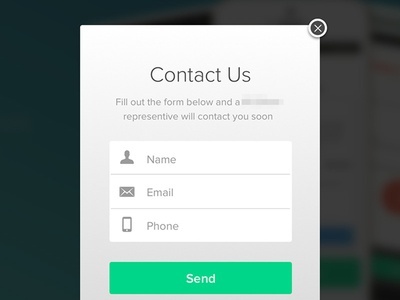 Contact Forms (any forms) are so relaxing to design. More to come from this fun project. 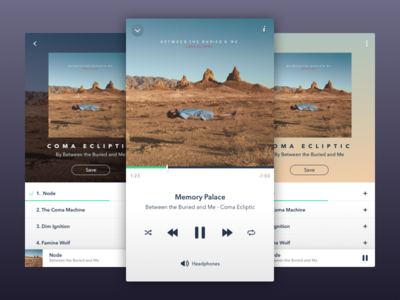 Story App — A new app @Jeffrey Smith and I have been working on. This is an example of a story's cover. More to come soon. Feedback welcome. 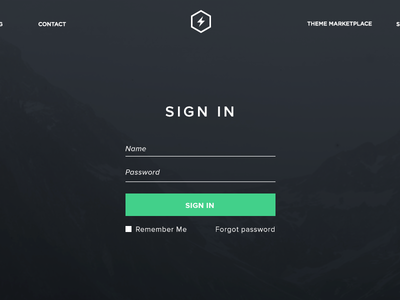 Statiq Login WIP — New Sign In page for http://statiq.io The idea was to try something different from the traditional boxed fields. Keeping it light and letting the colors and mood bring you in. 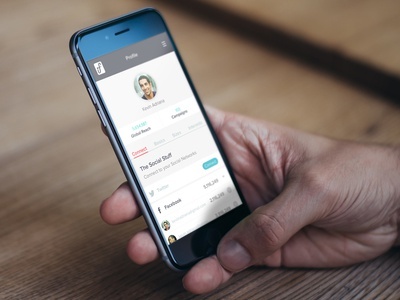 Online Gym Shot — Photo of @Cole Quartuccio working on a new online gym app.